Jeremy Clarkson, what are we going to do? Usually when Doncaster’s finest bigmouth says something out of turn or controversial, he gets a smack on the bum and told to be a good boy in future. This time, I feel he is really sitting on a knife edge and the BBC publicity machine has not spewed this story out in the hope of even more viewers and DVD sales – I really believe he’s in trouble this time. But will this be the undoing of Jezza? I doubt that very much. Like him or loath him, the man is an incredibly talented writer and TV presenter who has become a celebrity on a truly global sense. Rather than continue working as a mobile salesman for his parents soft toy business, he started at the bottom as a hack writing for local newspapers. It’s not like today where you start a blog site on the internet for free and hopefully get spotted (ahem) which leads onto maybe bigger and better things. He worked on his craft, persevered long and hard, honed his style and made it into the big time. Its rather like being a comedian, take Bernard Manning for example, here was a man who on face value was one of the most famous homophobic, racist and blasphemous men that ever had a spotlight shone upon them. Yet everyone who personally knew him after the audience went home or when the red light went out on the camera regarded him to be a placid, generous and tolerant fellow. Bernard Manning the comedian or Jeremy Clarkson the outspoken presenter are both two different people… in other words – it’s all for effect. Controversy sells and Clarkson is just as much a brand as he is a clever bloke who has great skill and ability to create a hilarious analogy. He is expected to be brash, to the point and mildly offensive because it’s us – the TV viewers that wait expectantly for the next quip to make us cringe. He’s noted what works and what doesn’t but before you point the finger at me for seemingly defending him remember this – a huge proportion of the spoken word is scripted and edited for human consumption on his behalf. Could he partly be viewed as a scapegoat perhaps? So what about the man? Well, I have met him twice over the years and latterly had the opportunity to chat over a cigarette and a coffee outside a Café in Surrey. We spoke about things in general and he remarked that he had seen and heard of the road test I did with an electric 7.5 tonne truck from another motoring Journalist Mike Rutherford. He was complimentary and seemingly fascinated about my battery operated caper and not once came over as the rude and arrogant man so many people claim he is. As is always the case, take what you read or hear second hand with a pinch of salt. 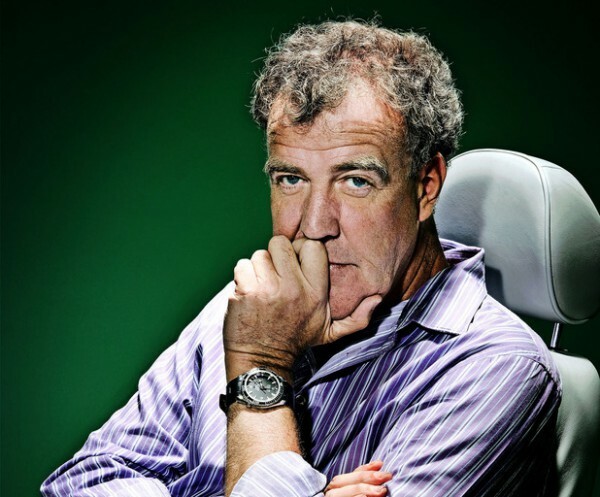 Clarkson’s public persona is like a comedian’s act or an actor’s style, you try and try noting what doesn’t go down well with the public until you hit the spot where your material or presentation is well received. It’s a finely tuned, well-rehearsed case of “take out of this what you will” and I’ll tell you something for free… it’s bloody hard work for Clarkson and his scriptwriters. But before I extol any further, I am not defending his actions because at the time of writing, none of us know why he took a swing at a BBC producer. He may have been provoked or it may have been a clash of personality. Whatever the case maybe, there comes a point where authority and fair play has to come into effect for all parties. The BBC have pulled rank and they reserve the right to do so for whatever reason it sees fit. Irrespective of the show being one of the most watched on the TV selling the format onto other countries of the world, regardless of the money it brings in or the number of DVDs that fly out of every shop around Christmas time – someone has to say stop. 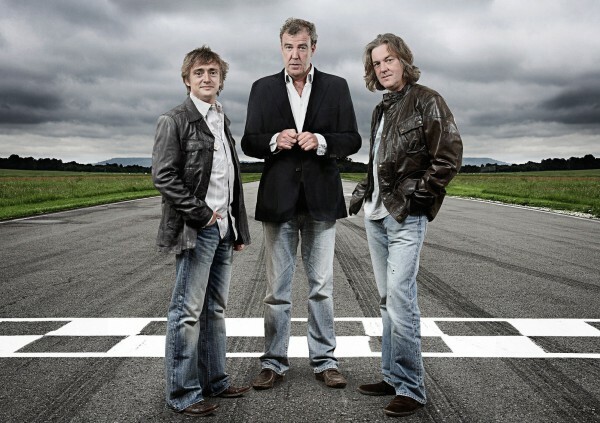 But if the road has ended for Top Gear or Jeremy Clarkson on BBC2, it will be a massive shame. Top Gear itself isn’t really a motoring programme like it used to be but I shake my head and tut when I hear cries of “bring back the old format”. Those days are over and to be fair, the viewing public were switching off in droves. I’ve watched it almost like a ritual since the early 80s. But as I grew older into my adolescent years when I wanted wheelspin and power and stupidity, Top Gear continued to give us presenters dressed like your Geography teacher that boringly expanded on topics such as direct diesel injection or catalytic convertors. It was only when the first dream team of Jezza, Quent, Tiff and Vicky developed that the show became a real hit. Clarkson and co picked the show from off the floor and dragged it screaming, kicking and power sliding into the eventual entertainment spectacle it is today with Hammond and May. Jeremy’s unique style of outspokenness and shooting straight form the lip was always bound to cause controversy, but it made people watch and it made the suits at the motor manufacturers think a little harder at what their products should be. His former colleague Quentin Willson once summed up the typical Top Gear viewer by stating that boot space and rear headroom was irrelevant, all their viewers wanted to know was: A – How Fast? B – How much? And C – If can you pull in it. That formula works incredibly well and remains true to the core of any petrol head regardless of race or gender. Top Gear is best explained by being an hour of escapism from a stiflingly politically correct world – secretly admit to yourself that three good mates and three crap cars being dragged across a third world continent sounds like just the kind of fun that would you do in a heart beat if you could simply drop everything and run? And that is what I will miss if JC gets the heave-ho. The gel, chemistry and on screen camaraderie is wonderful to watch and sometimes even threatens to produce a moist eye now and again in our household. It’s not a motoring show, it’s an hours’ worth of three daft blokes winding each other up getting into the kind of japes and scrapes that other petrol headed men and women secretly hanker for. It might be the end of Top Gear as it stands at the moment, but I doubt very much to it being the end of their careers. Maybe only the start of something new. Previous The Humble Opinion : As the sun sets on the East Coast. Next The Humble Opinion: Animals, Children, Friends and Neighbours. Maybe the end of the road of current Top Gear? But not the presenters they can go on and present another Top Gear clone on Channel 5 for example, since that channel has shipped out Fifth gear to the sky1 then the History channel. But you are right, Clarkson is Top Gear whether your a fan or not of his presenting style, and as the saying goes no publicity is bad publicity. Just look at the free publicity TG and JC is having, on almost every front page, every radio and TV news program and every social media outlet, the story probably broke the internet last night. I for one enjoy the show because its is a hour of nonsense and fun and controversy, I don’t watch it in the hope they will tell me the luggage capacity of the new Skoda Golfabia or how many mpg the new tddcci ecoboosting 2 cylinder engine does, theres the internet for that or Fifth Gear. I’ll follow with interest on whats next for the 3 stooges.